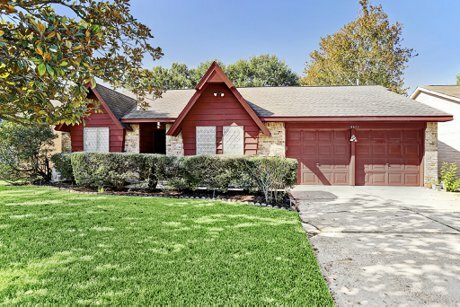 10622 Hillcroft Street | SOLD In Houston's Westbury Subdivision! 10622 Hillcroft is a sparkling clean and well-maintained brick home in the highly sought after Westbury subdivision. Light and bright with high ceilings in the living room, open kitchen and breakfast, formal dining. Very open split bedroom plan. Same owner for 51 years! Never had foundation nor termite issues. Not in the flood plain and never had water in the house. Solid as a rock in a fabulous location. Extremely well-maintained home. Same owner for 51 years! Large front driveway with enough space for four additional cars. 18' x 16' family room with high ceilings. Kitchen and breakfast area open to family room. Formal dining room with box window. Master bedroom suite has full bath, large walk-in closet. Back bedroom has two closets. Front bedroom with attractive box window. Spacious backyard with plenty of greenspace. Covered patio shields family room from the afternoon sun. Storage shed. Zoned to Elrod Elementary School, Fondren Middle School, and Westbury High School. Please check availability.